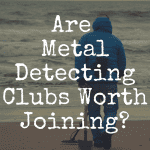 Metal detecting is a fascinating and addictive hobby shared by many. Whether you see stories of gold laden treasure ships discovered off the coast of Florida on the local news or read about kettles full of coins discovered on a farm while plowing, the idea of treasure hunting can easily take bloom in your mind. What kind of hunting do I want to do? After answering many of these questions and making that decision to finally purchase a metal detector, the inevitable question becomes, “what kind of metal detector should I buy?” Well, that’s the exact question we’re going to answer. 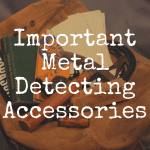 In fact, we’re specifically going to tackle the subject of VLF metal detectors. We’ll help you understand what VLF even stands for, what these kinds of detectors do, compare VLF detectors against PI or Pulse Induction detectors, and finally recommend you a handful of VLF machines that we think are well worth you time to consider. There are many different brands on the market and most are excellent machines. Some machines are better suited for different types of hunting and different locations. Some are better for coin hunting while others are better for relic hunting. Some are more suited to hunting on land and others in water. And some can do both. There are variable features between models and some have a larger learning curve to get the best results from the machine. There is also a great variance in price from low-end to high-end models. So, What Does VLF Mean? The most popular and most widely used detectors are VLF detectors. VLF stands for very low frequency. The coil or search head of these detectors consists of two separate coils of wire. The outer coil produces a VLF, below 30kHz, impulse which is directed into the ground. When the impulse comes into contact with a metal object below ground, the impulse is reflected back at a different frequency. The returning impulse is read by the receiver, the inner coil, and an audible tone is produced to alert the user of a found object. Most detectors operate on a single fixed frequency but some have been constructed to operate on multiple frequencies. The use of multiple frequencies may improve the detection capabilities for certain items. The popularity of VLF detectors is due to their ability to be used in many different areas and conditions. Most are all-purpose units that can be used for coin shooting in local parks, hunting relics on forgotten battlefields, or combing the beach for lost jewelry. Many also have submersible coils for shallow water hunting along rivers and beaches. Versatility is what makes VLF the most popular detector type on the market. 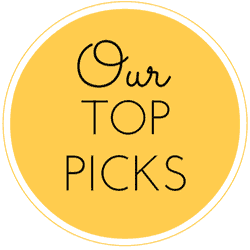 Now that we’ve got our quick breakdown out of the way, how about we get to some actual recommendations? Here are just a few VLF detectors that we believe stand out from the rest of the pack. The Garrett Ace 250 is an all-purpose, single frequency, 6.5 kHz, VLF detector. It is loaded with features at an affordable price. Some of the features on the Ace 250 are: 6 search modes, adjustable discrimination, fixed ground balance, target ID, programmable target ID, 12 target ID segments, depth indicator, and pinpoint mode. The Ace 250 is equipped with a concentric, 6.5”x 9” waterproof elliptical coil. Other interchangeable coils are available, as well. Detection depth for the Ace 250 is 8 inches. It also comes with an adjustable shaft with a length from 42-51 inches and a fixed arm rest. The Ace 250 weighs in at 2.7lbs and is operated by 4 AA batteries with an expected battery life of 15-20 hours. It is most highly recommended for coin hunting, competition hunts, searching dry beaches and fresh water. It also provides great results for relic and jewelry hunters. The Ace 250 can be purchased new for under $225. Please click here to read our review of the Garrett Ace 250. The Garrett Ace 350 is considered a step-up model from the Ace 250. It too is an all-purpose, single frequency, VLF detector but it operates at 8.25 kHz. The Ace 350 features: 6 search modes, adjustable discrimination, fixed ground balance, programmable target ID, 12 target ID segments, depth indicator, and pinpoint mode. It comes equipped with a Double D, 8.5” x 11” elliptical coil. The coil is waterproof. Interchangeable coils are also available. Detection depth for the Ace 350 is 8 plus inches. The Ace 350 also comes with an adjustable shaft with a length from 42-51 inches and a fixed arm rest. It weighs in at 2.8lbs and operates on 4 AA batteries with an expected battery life of 15-20 hours. The Ace 350 is most highly recommended for coin hunting, jewelry hunting, hunting dry beaches and fresh water, competition hunts and relic hunting. It is also excellent for ghost town hunting, cache hunting, and even prospecting for gold. The Ace 350 can be purchased new for just under $300. The Garrett AT Pro is considered a professional treasure hunting model. It is described as an all-terrain detector because it can be used almost anywhere. It has been designed to be used in almost all conditions; wet, humid, dry, and even be submerged underwater to depths of 10 feet. The AT Pro is a single frequency, VLF detector, operating at 15 kHz. Features of the AT Pro are: 6 search modes, adjustable discrimination, manual ground balance, target ID, programmable target ID, 12 target ID segments, depth indicator, and pinpoint mode. It can also operate in standard or professional mode. The AT Pro has a Double D, 8.5” x 11” elliptical coil. The coil is waterproof as well as the rest of the unit. The detection depth for the AT Pro is 10 plus inches. It comes equipped with an adjustable shaft with a length from 42 to 51 inches and a fixed arm rest. The AT Pro weighs in at 3.03lbs and operates on 4 AA batteries. It is recommended for almost all types of detecting, including beach and fresh water hunting, coin hunting, jewelry hunting, ghost town hunting, competition hunts, cache hunting, relic hunting, and gold prospecting. Being a professional model and waterproof, the price of the AT Pro rises above the other Garrett detectors discussed. It can be purchased new for around $600. 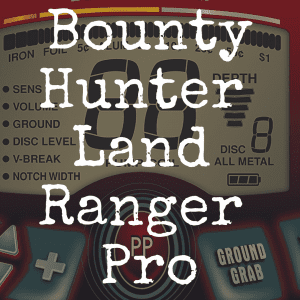 The Land Ranger Pro by Bounty Hunter is another all-purpose detector that is loaded with lots of features as well as value. The Land Ranger Pro is a single frequency, VLF detector, operating at 7.69 kHz. Features of the Land Ranger Pro are: 7 search modes, adjustable discrimination, manual ground balance, target ID, programmable target ID, 43 target ID icons, depth indicator, and pinpoint mode. The Land Ranger Pro comes with a Double D, 11 inch, waterproof coil. The Land Ranger Pro has a detection depth of 10 inches. It is also equipped with an S shaped adjustable shaft and fixed arm rest. The Land Ranger Pro weighs in at 2.4lbs and operates on one 9-volt battery. 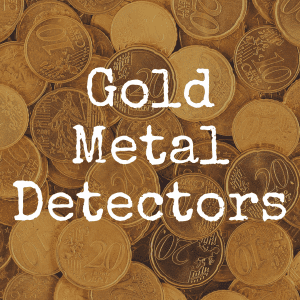 It can be used for all types of detecting, including coin hunting, relic hunting, jewelry hunting, competition hunts, beach and fresh water hunting, cache hunting, and even for gold hunting. The Land Ranger Pro, even with all these features, can still be purchased for less than $275. 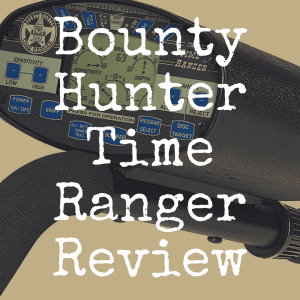 The Time Ranger by Bounty Hunter is another all-purpose detector with lots of features and an even lower price than the Land Ranger Pro. The Time Ranger is a single frequency, VLF detector, operating at 6.6 kHz. 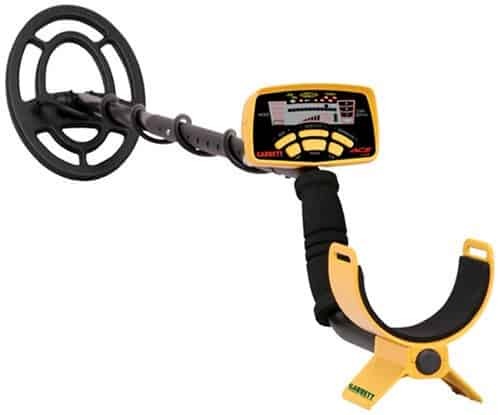 The Time Ranger features include: 4 search modes, adjustable discrimination, manual ground balance, target ID, programmable target ID, Ground-Trac for mineralization, depth indicator, and a sniff mode to eliminate individual targets. It comes with an 8” concentric, waterproof search coil. Detection depth for the Time Ranger is 9 inches. It also comes with an S shaped adjustable shaft and fixed arm rest. The Time Ranger weighs in at 4lbs and operates on two 9-volt batteries. It can be used for all types of detecting, including coin hunting, relic hunting, beach and fresh water hunting, and jewelry hunting. The Time Ranger can be purchased new for around $185. Some may wonder about the choices you have when it comes to this hobby. Are you only able to choose from dozens and dozens of VLF detectors, or are the other options available? Well, besides VLF detectors, there are also what’s called PI or Pulse Induction detectors. Pulse Induction detectors are similar to VLF, but work on a slightly different principle. PI detectors are equipped with a single coil of wire in the search head and operate at higher frequencies. After transmitting a signal at a rapid frequency, the coil shuts down transmission and becomes a receiver for any signals reflected back. That reflected signal is quickly analyzed and it is determined if any objects are present. The pros for Pulse Induction detectors are the increased detection depth over VLF detectors, the ability to use them in black sand at beaches and their underwater capabilities. The cons of Pulse Induction detectors are their lack of discrimination. They can’t be used for coin hunting, relic hunting, or in any areas where lots of iron is present. Because of these reasons, Pulse Induction detectors remain a very specialized tool for limited applications, while VLF detectors continue to be the most popular, versatile, and all-around useful detectors on the market today. In the end, it should be you that ultimately decides on what type of detecting you want to do, where you want to do it, and what kind of detecting device you need. So be sure to research all types of models, including the excellent detectors mentioned above, and see which detector you feel is the best fit when you factor in your needs, the machine’s intended use, and of course price. Discover Detecting provides readers with in-depth information and reviews pertaining to the metal detecting hobby. Please join our brand new Discover Detecting Facebook page! 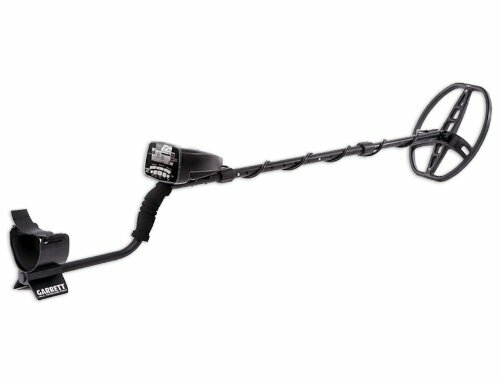 What’s the Best Metal Detector Under $30? 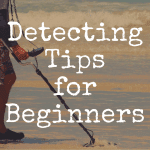 25 Metal Detecting Tips for Beginners?